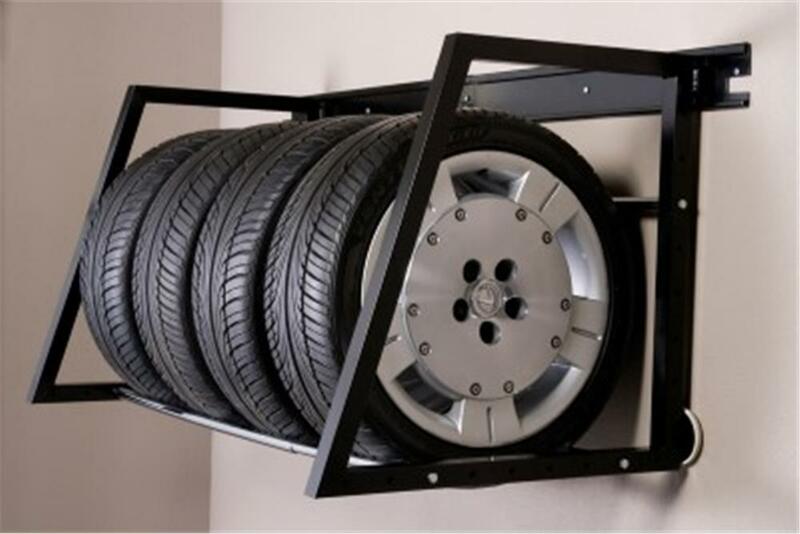 Keep your garage neat and organized with this great wheel and tire storage rack solution for storing seasonal or recreational tires, ATV tires and race tires and wheels. 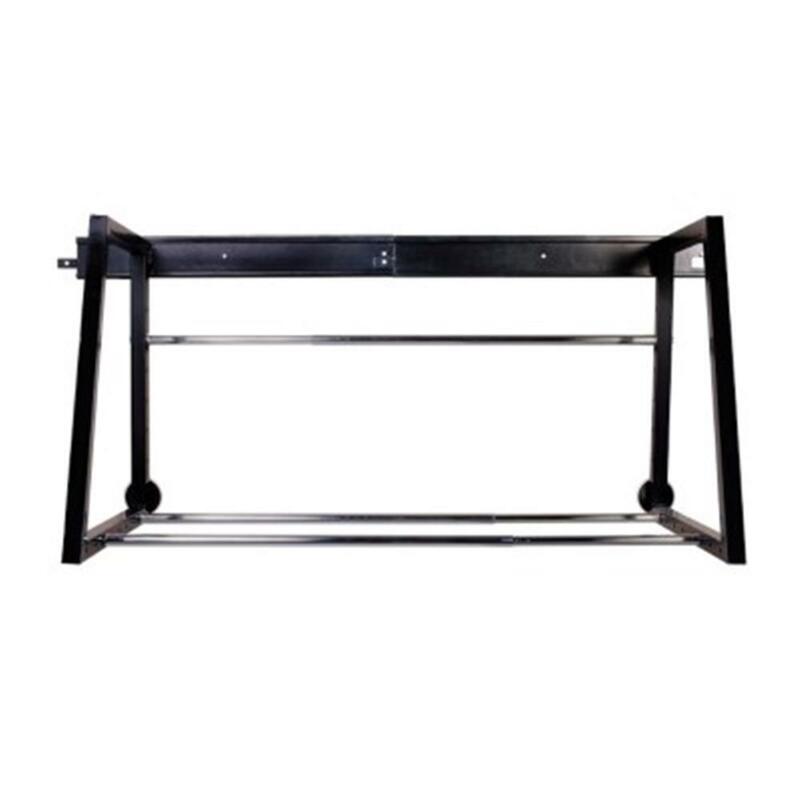 The Heavy-Duty Tire Loft installs easily by attaching the master rail to the wall studs and the rack clips into the master rail. Works on finished or unfinished walls. This wheel & tire storage rack is made from durable steel tubing with a scratch resistant powder-coated finish and high-grade steel hardware, the tire rack adjusts to fit various tire sizes with telescoping chrome support bars that adjust to 66” in width and 28.5” in depth. Holds up to 400lbs. Installs easily, with all assembly hardware included. 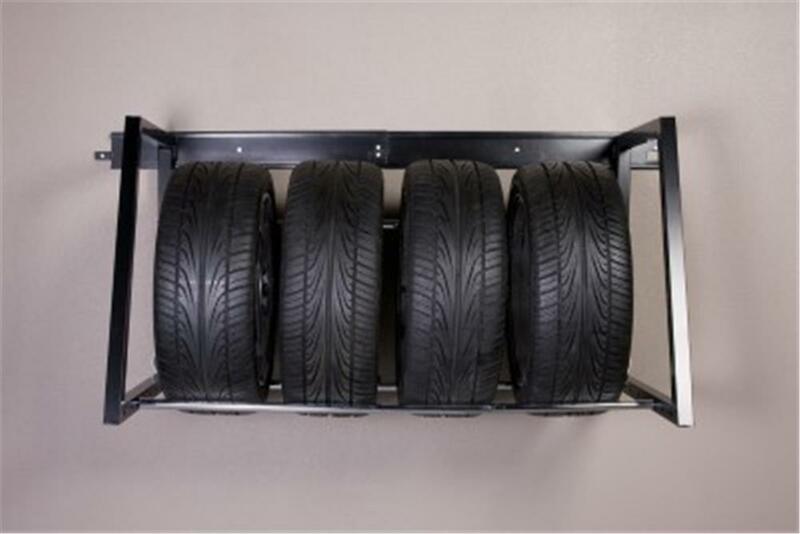 Your Hyloft Tire Storage Rack is backed by a limited lifetime warranty.